I recently returned to grey and not-really-warm-anymore London from a week long work trip to the Philippines. Yes I know, it’s hard <ahem>. My initial reason for being there was to attend PHITEX – The Philippines Travel Exchange. Essentially a whole lot of people like me (tour operators and travel agents) sat at an assigned table while a LOT of Philippine hotels, destination management companies (those are like the people on the ground who help us organise everything for our clients) and other tourist companies came to meet with us, show us what they have on offer and convince us to send our clients their way. It made for a very. very. long. day. But an interesting one. It’s the first conference type event my company has ever sent me on and it was definitely an interesting one to attend. I was one of a handful from the UK, the large majority of the visiting travel agents were either Russian or Korean. No idea that Russia had such a huge interest in the Philippines. So learned that. But, believe it or not, that wasn’t the part of the trip I was most excited about. I couldn’t wait for hotels, beaches, and HEAT. 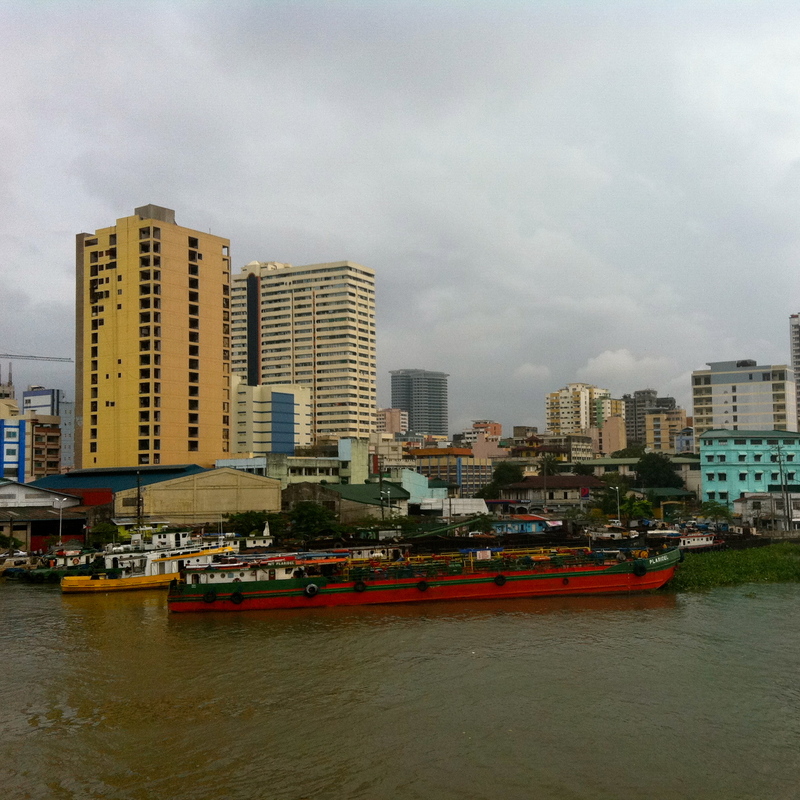 Yes, it was rainy season, and yes, it rained in Manila, but I didn’t care. It was hot, I was staying in beautiful rooms, and I was in the Philippines. Any other traveller <not the gypsy kind> can understand I hope. My first impression was nothing but positive. Okay, so I was a little more spoiled than on my average holiday. I was met at my airport gate, after a very long flight, by my hosts and given a necklace of flowers that smelled a lot better than me. I was escorted through immigration, got my bag, and into my awaiting taxi to my first hotel, The Peninsula. 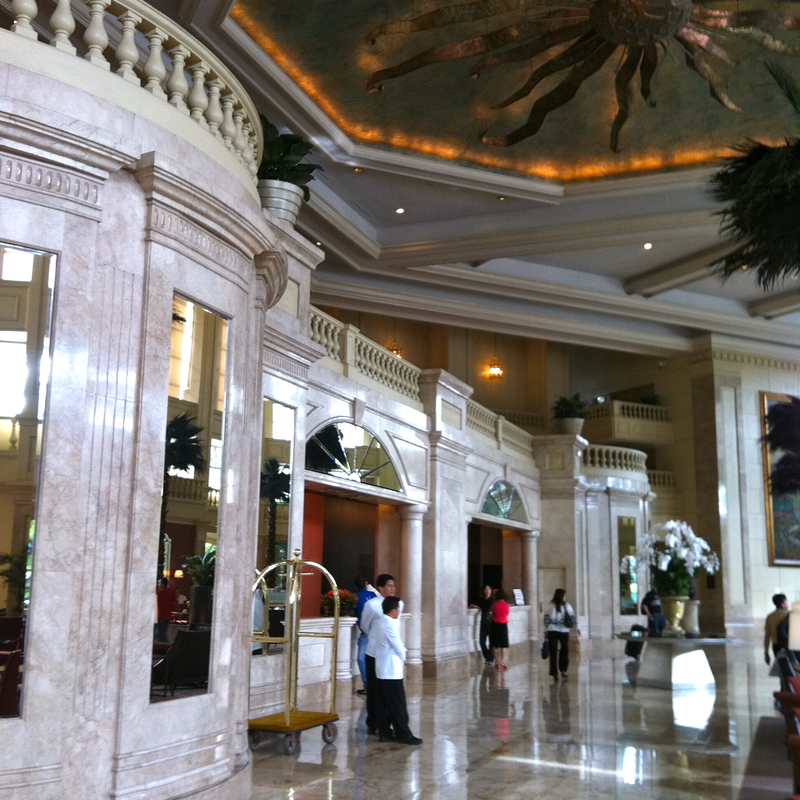 The Peninsula's Grand Lobby. See the sailors?? I was sleep deprived and unwashed and probably slightly delirious, but walking through those doors was…like walking onboard the Titanic. Really, people. Yes, I mean the ship. The doors of the lobby were opened by men in SAILOR SUITS. So that confused me. Then there was the grand lobby. Marble everywhere, a double sweeping staircase, a live jazz band, chandeliers bigger than my bedroom… All it needed was couples waltzing away while men with big fat cigars sat in their private room dealing blackjack or whatever it is they played on the Titanic… Come to think of it, this definitely could have been a grand lobby in Las Vegas, or Monaco too, minus the casino games. But I’m pretty sure the flash cars were parked outside as required by any high flying casino (right?). Unfortunately <or not> I didn’t get up to any crazy late cigar-smoking nights in Manila or anywhere else in the Philippines. More sleeping at every possible chance, and dinners hosted by our hotel. The fun was paused, briefly, whilst my stomach reminded me that I was in Asia and what the heck happened to food like pasta and chips. Enough said about that. I recovered just in time for a meal hosted by the Mayor of Palawan just to boost our egos <and give us rainmakers which I thoroughly enjoyed carting through airports on the way home…> and then an amazing firefly tour. 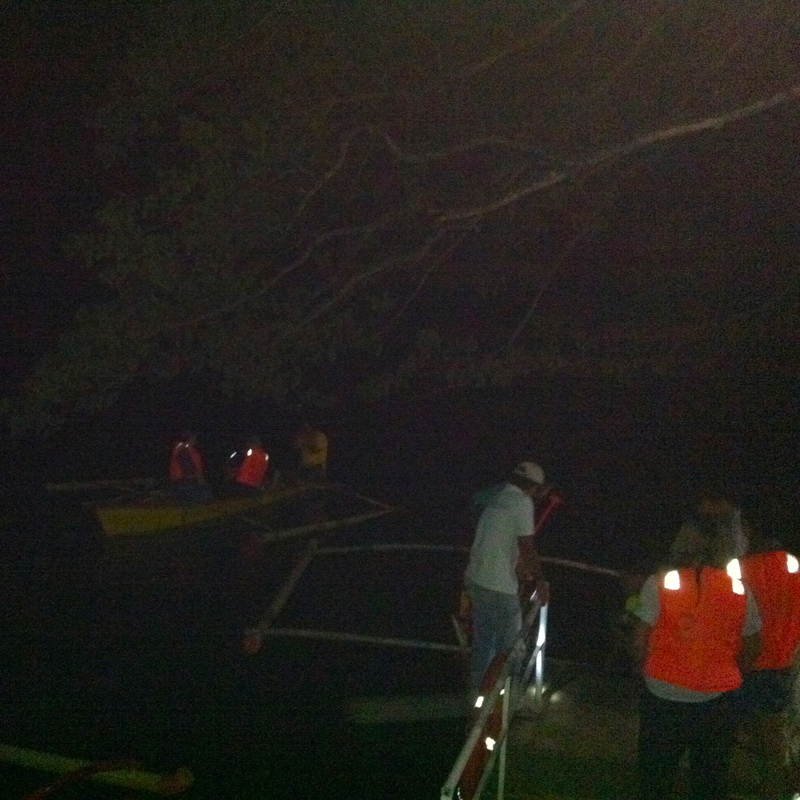 I had no idea what this was going to be, but we were all herded onto long narrow boats in the pitch dark while a lovely man rowed us down a mangrove river where I could see…nothing. Nothing, except hundreds and hundreds of little tiny lights. Fireflies! It was absolutely stunning. The mangroves were covered in them, and as long as you stay away from the thoughts that these are actually just little bugs; essentially flies; then it really is a beautiful sight. 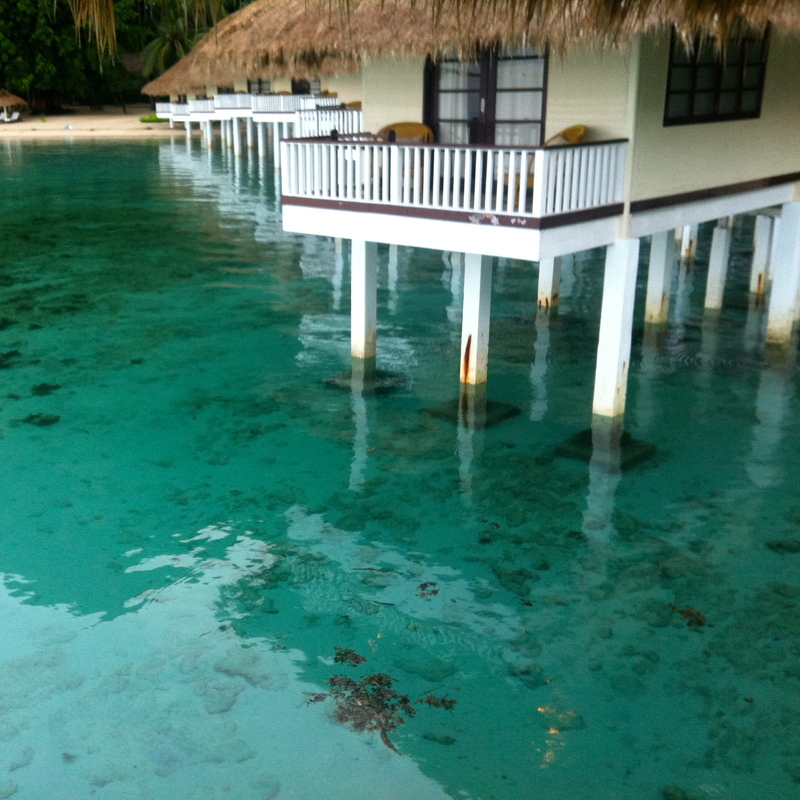 After that night, and my first decent sleep, we were taken to what is one of the Philippines best assets. 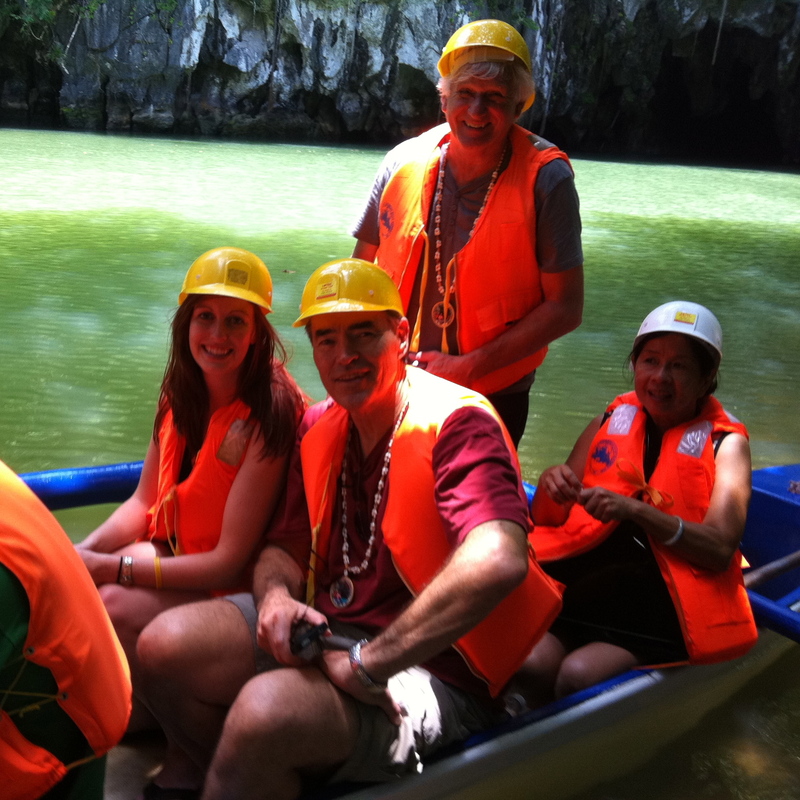 The underground river. 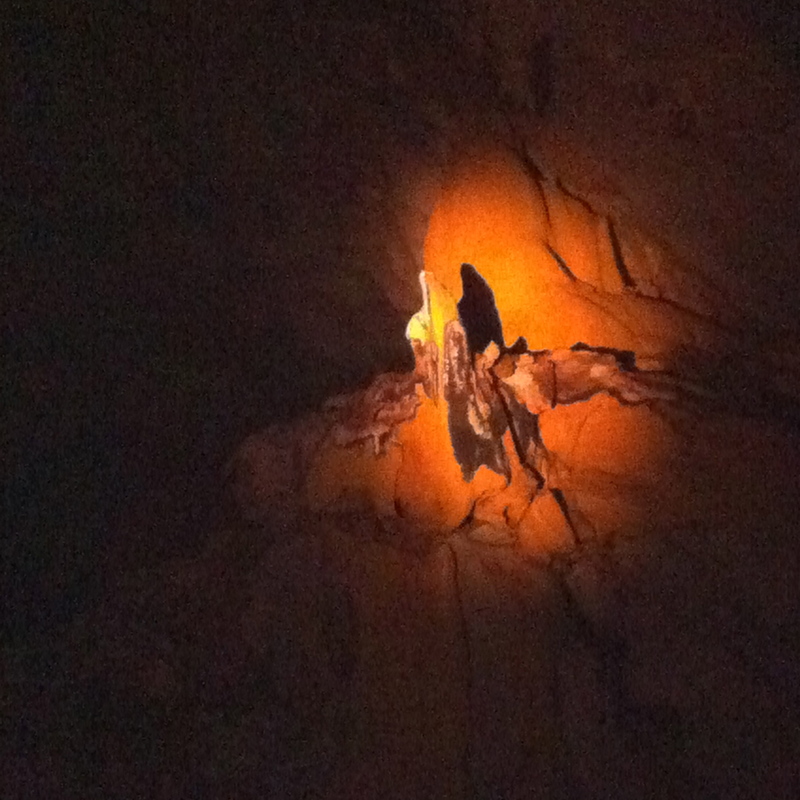 I’ve been into mountain caves before where you learn all about stalactites and stalagmites (stalaCtite – ceiling, stalaGmite – from the ground. I did remember something) but there was something even more astounding about being able to row down a river and see it all. The bats were pretty neat too… Then it was back to the mangrove rivers for snake spotting. No monkeys though. We really wanted to see the monkeys. Stalactites inside the underground river caves. Or the Virgin Mary. Apparently. A week definitely wasn’t long enough so hopefully I’ll be back again whenever I can make it. Until then, as always, the photos will have to suffice. Welcome back! Love the final photo especially. Thank you for your kind words Mathdelane, it was definitely my plusreae to attend WordCamp Philippines, and visit Manila in the first place. You all have a thriving blogging community there which is really impressive and great to see, so it was a lot of fun to be able to come over and share some of what’s going on both with WordPress, and some of the other projects it has inspired. Hopefully the new media tools in 2.9 will go a long way towards improving that part of WordPress which is admittedly a bit weak right now!